Electronics Costs > How Much Does TV Screen Replacement Cost? If your television screen broke or isn’t displaying the picture properly, it may be cheaper to replace the screen rather than purchase a new one. How much does a LED tv screen replacement cost? Depending on the size of your television and the brand, the cost to fix an LED screen is, often times, just as much as the television itself. 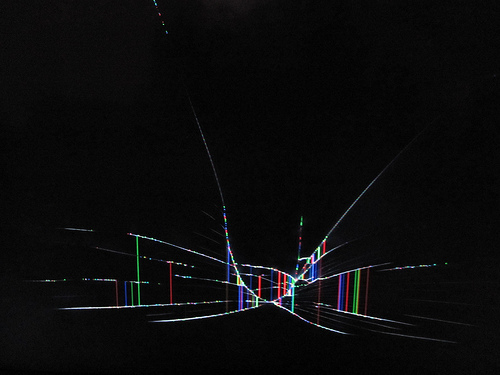 According to our research, we had found most cracked LED screens would be around 90 percent of the television’s value, making it one of the most expensive television repairs. The only time the repair could be much less than the television’s value is if the plastic screen, between the glass section, has been fractured and the glass remained intact. If this were the case, then the repair could be about $300 to $400. For example, one member on iFixIt.com said they were quoted $600 to $700 for the parts and another $200 for the labor to replace the screen on his Samsung television. On the other hand, if the screen simply doesn’t turn on and no damage has been noted, then the costs could be much less, often around $150 to $250 to replace the control board, for example. But if this were the case, it would be a screen replacement, per se. According to Today.com, the average LCD flat panel is designed to last 40,000 viewing hours, which doing the math, is close to 20 years. As the screen discolors or burns out, the repairs can cost as much as a new TV. If there’s no screen damage and it doesn’t turn on, it could be due to a myriad of factors, but even if you bring it into a repair shop, be prepared to pay $40 to $100 just to have the shop look at it. Even if your screen failed and you want to fix it, you’re going to find many professionals who simply don’t work with them as some older model parts are hard to come by. Since everything is on a circuit board, this board, according to PCMike.com, has to come from the manufacturer, which can take an independent shop quite some time to find. Plus, due to the size of a television, they are often too bulky and take up too much space in an already small shop. If you’re going to scrap the television due to a faulty screen, consider taking the good parts out to resell them on eBay to help recoup the costs. The audio and video components, as long as in good condition, could bring in a few hundred dollars, depending on the television model. Check with your manufacturer to see if your television is still under warranty. If you are still covered, your repairs may be covered if the screen cracked due to a defect, not malicious intent. 95 percent of the time, repair technicians will always recommend replacing the television instead of fixing it, since, as mentioned, the costs will be the same as purchasing a new one. Repairing a cracked screen isn’t cost effective to put it simply. If you perform the repair on your own, you may be able to resolve the problem by buying the appropriate parts on eBay or via a reputable parts company. Whatever the problem may be, you may find the problems are fixable on your own. While it’s too late, highly consider buying an extended warranty with your next purchase. For as little as $100 to $200, your television could be covered for the next five years after purchase.